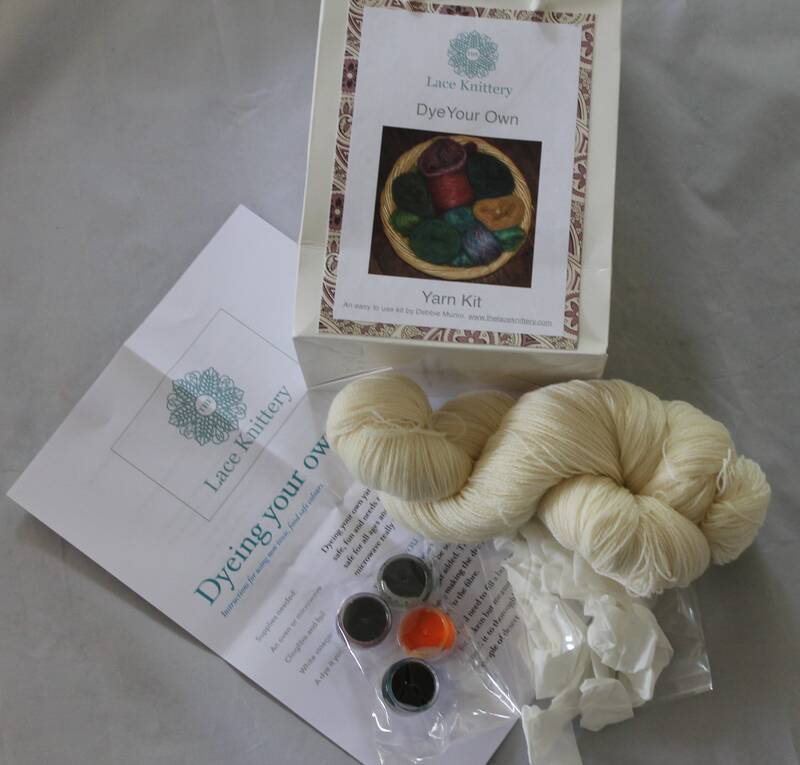 I started dyeing my own yarn nearly fifteen years ago and am often asked for courses and workshops in dyeing. As you all cannot visit my studio I have developed this foolproof beginner kit. 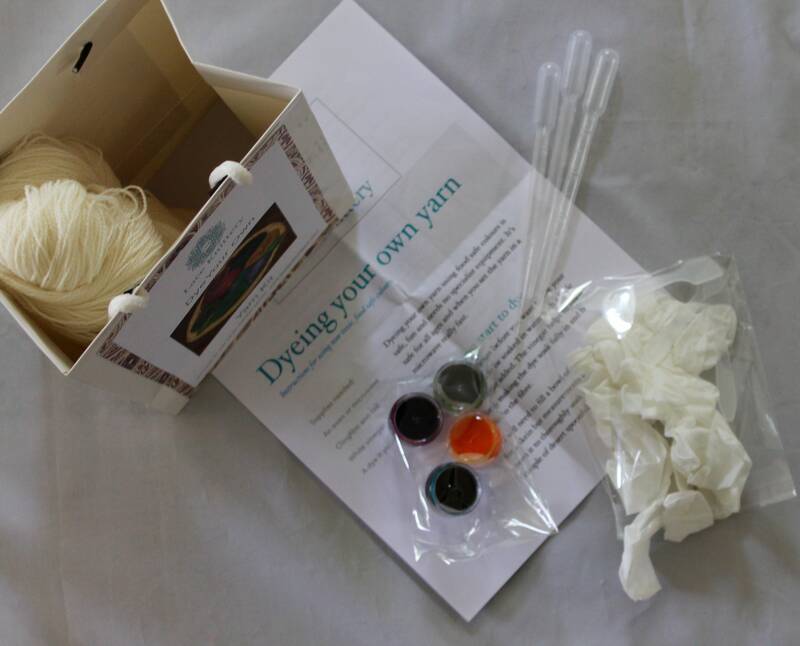 It contains yarn and non toxic, food colour based dye colours, gloves, spatulas, pipettes and comprehensive instructions. No separate or specialist equipment is required. You can use kitchen bowls and spoons and then wash as normal. There are no toxic ingredients and it is suitable for all ages and abilities. 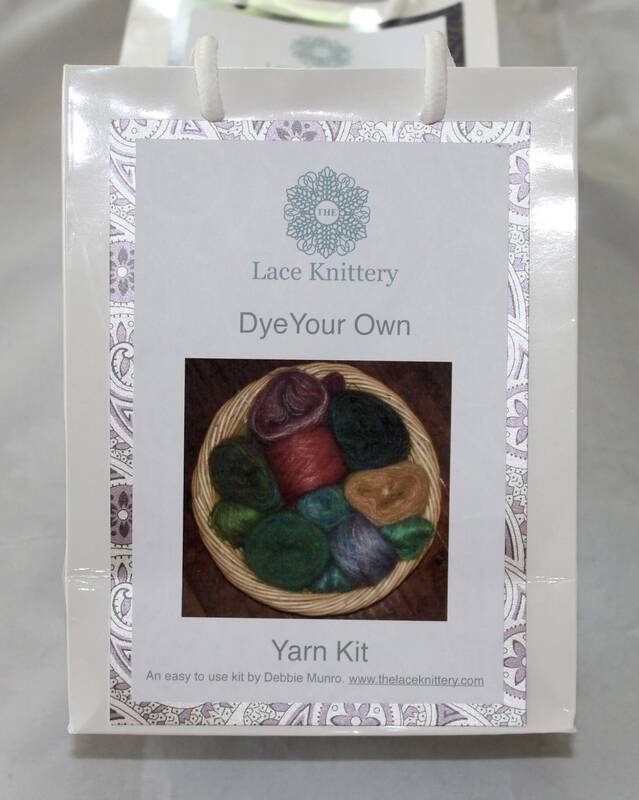 Four base colours are included in the kit that can be mixed to make others. Each pot will dilute in water providing up to 200mls of full strength colour, more colours are available if it is diluted further. 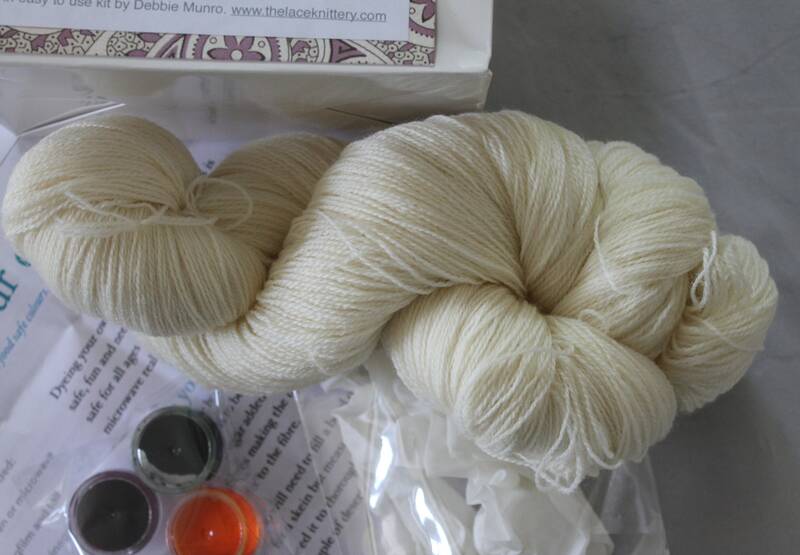 The yarn is a full skein of blue faced leicester wool and is 800m in length. 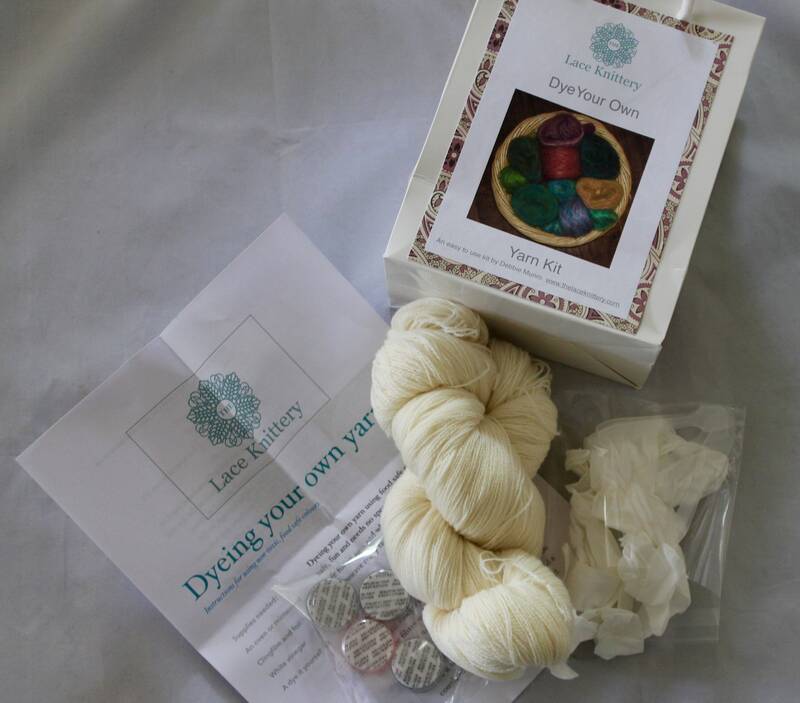 You can wind small amounts off and dye lots of colours or dye the whole skein at once. Convo me for extra yarn or colour supplies. The dye is set using either a microwave or oven. 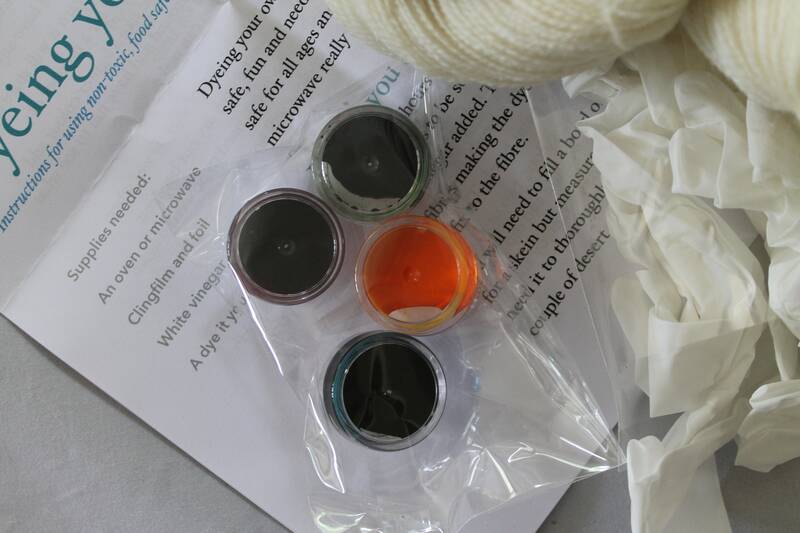 This yarn is a superwash and once the dye is fixed in the oven/microwave it can be washed in a washing machine on a wool cycle.